I am not able to import list of hobbies in hobbies__c object. where to get list of hobbies to import in hobbies__c. In list of contacts excel sheet there is no column for hobbies, so from where i should imported list of hobbies. I seem to have no clue what's wrong in the report which I created. As per the requirement - Summarize the report by Account Name, the contact’s Full Name, and show the Hobby Name." Here I do not understand Full Name, as in the report we only get First Name, Last Name. The 'Lightning Hobbies by Contact' report does not appear to have either the correct report type or (most likely) the correct columns. I have summarized the report by Account Name, then by Last Name. Another column shown is Hobbies Name. The report filter is on Hobby Type (the bucket field) = Outdoor Activities and it is locked. Before we close-won any opportunity we need to associate atleast two opportunity contact roles; if there are less or no contacts associated then a flow screen is pop-up for the rep to input or select contacts and then it gets added to opportunity contact role. Since the visual flow is user-interaction driven can I achieve this using a button (referring VF page); however question here is can i invoke this flow based on a condition...just before opportunity is marked as CLOSED WON? Part of the module is where you create couple of profiles with object level permissions. Accordingly i have set the right permissions for account object (R/E/VA), Opportunity (R/C/E) -- NO VIEW ALL for Field Sales Profile. Everytime i check the challenge am getting below error; any help. The Field Sales User does not appear to have the correct object permissions for Accounts and Opportunities. Am getting below error while completing the Marketing Dashboard challenge as part of Superbadge (Reports & Dashboards Specialist); i have also provided the screenshot of what i have completed. Spent couple of hours to understand where its breaking but couldn't get the cause of it. looking forward ..
error:The 'Marketing Manager' dashboard does not have the correct headers and titles for the chart components. I need to have a trigger to update 'Rating' of an Account to 'Cold', if it's related opportunity is staged to 'Qualification'. We should use MAP here. 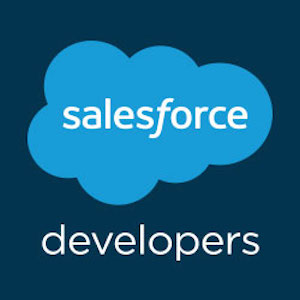 Does salesforce provide something like email masquerading ? Where email will be going from xyz=example@salesforce.com ? ? The reason for having Email masquerading is , our domain has a security rule where email coming from outside our network will not be accepted if they have our same domain as ours. Salesforce sends the most of outbound emails from user's email address configured in Salesforce. As this email is coming from salesforce (outside of network ) and has domain of our company , this will be not allowed to enter into our network and will be filtered by our servers . Is there any way to overcome this ? Can email relays play a role here ? ? I am having an issue with a permission to an object for a certain user. They should only be able to view the objects that they created. The OWD is set to private and his profile does not have any access to this particular object. I went through all of the permission sets, but there are a lot, so I am not certain where it is allowing them to view all of the objects in that object's own tab under view all. Is there a better or easier way to troubleshoot and determine where they are getting the access to view all of the data of the particular object? They can view ones that the admin created. Shield Platform Encryption trailhead error: The Contact Mobile Phone field does not appear to be encrypted. I have this field encrypted and there is data in there. How can upload workflows from Eclipse to Sandbox? We refreshed our sandbox from PROD and now we have some before refreshing .workflow files that we need to upload to our refreshed sandbox. Is this possible? Please, let me know how proceed as I am strugling to do so. I am using force.com Eclipse. I tried moving the needed *.worflow files to the src\workflow folder and upload them to the sandbox but it is not happening. Challenge Using Report Formats - When is matrix report not a matrix report? I am a newbie and stuck on this challenge in the Basic Reporting Section "Using Report Formats" I am stuck and need help. 2. I then changed it to the matrix report setting and moved "Rating" to the Column Header and moved "Lead Source" to the row header. Then I saved my file. Additional detail : I deleted my first try which I guess now was a mistake. I am now just renaming the file with a number at the end as suggested. So I am at "Matrix of Leads2" for my submission name. Not sure if this is the issue as it maybe trying to look for "Matrix of Leads" and seeing my first file. I am stuck and I cannot figure out what obvious thing I am missing? Any help is appreciated. Challenge Not yet complete... here's what's wrong: The 'Contacts Without Hobbies' report is not configured correctly.